Cold winter days when you don’t want to step outside are the perfect time to bake cookies. 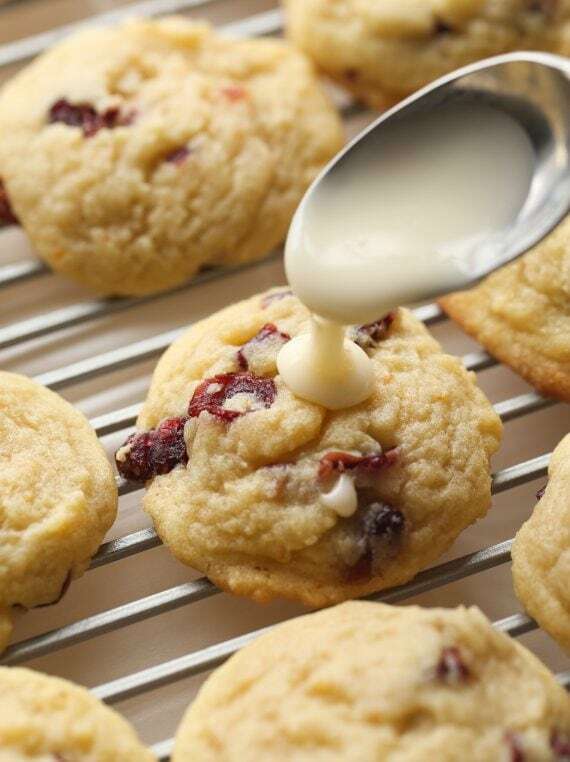 The aroma of freshly-baked cookies will bring smiles to your children’s faces as they walk in the door from school. A plate of cookies along with a cup of hot cocoa is the best way to greet them. Filling your freezer with tasty treats need not mess up your kitchen or require hours of work. We’ve got some delicious recipes that take only minutes to prepare; now what will you do with the rest of the afternoon? These are a favorite with all my friends! Plus, they take about five minutes to prepare. Preheat oven to 350 degrees F. Grease a 9”x13” baking pan with baking spray. Line the bottom and two sides of the pan with parchment paper, leaving a 2-inch overhang on both sides. Spray the paper and set pan aside. Using an electric mixer, cream the margarine and sugar until the mixture is light and fluffy. Add egg and beat until combined. With mixer on low, gradually add flour and baking soda; mix until just combined. Mix in oats and butterscotch chips. Pour batter into prepared pan. Smooth batter evenly across the top of the pan using a metal offset spatula. Bake until a toothpick or cake tester inserted in center comes out with only a few moist crumbs attached, 50-55 minutes. Let cool in pan 30 minutes. Grasping overhanging paper, transfer blondies (still on paper) to a wire rack to cool completely. Place on a cutting board and peel off paper. Using a serrated knife, cut into squares. The deep flavor of this cookie makes cinnamon lovers happy! Preheat oven to 350 degrees F. Line two cookie sheets with parchment paper or silicone liners. Beat margarine and sugar in your mixer until smooth and creamy. Add eggs and vanilla and beat well. Add flour, cinnamon and baking soda and combine. Stir in oats and chips. Drop by tablespoonfuls onto prepared sheet pans. Bake 10-12 minutes or until golden. Remove and cool. To bake bars, spread batter into a 9”x13” ungreased pan and bake for 30-35 minutes or until a cake tester inserted in the center of the pan comes out clean. Cool and cut into 3” x 1 1/2” bars. Store in an airtight container. The bright flavors of this cookie make it a change from traditional chocolate chip cookies. Cream margarine and sugars well with an electric mixer. Add egg and orange juice; mix well. Combine the flour, baking powder, salt and baking soda; add to the creamed mixture and mix well. Stir in craisins and nuts. Drop by tablespoonfuls onto prepared baking sheets. Bake at 350 degrees until golden brown, 12-15 minutes. Cool on wire racks. For frosting place oil in a small bowl, add sugar and vanilla. Beat in water a tablespoon at a time, until frosting reaches desired consistency. Spread frosting on the cookies. Store in an airtight container.